Can you feel that breeze? It smells like wildflowers. And the sun is shining on your face. Take a 90-minute vacation in the galleries and experience the calming power of art. The Crocker's Artful Meditation series, returning February 10, has been running since 2015, and is now free for everyone thanks to the generosity of the Hemera Foundation. It’s a great way to spend a part of your Saturday and interact with art in a beneficial and mindful way. Join long-time meditation practitioner and instructor Ian Koebner, Ph.D., and Adult Education Coordinator Erin Dorn for this new way to experience art at the Crocker. Artful Meditation will take place every-other second Saturday of the month, beginning February 10. Dress comfortably; Registration here is preferred as space is limited, but not required. Granville Redmond, Patch of Poppies, 1912. Oil on canvas, 26 x 36 in. Crocker Art Museum, Melza and Ted Barr Collection, 2010.2.1. 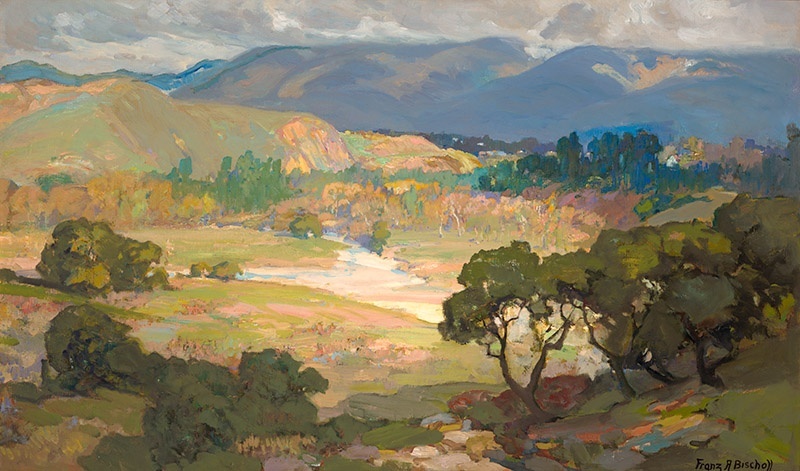 Cover photo: Franz A. Bischoff, The Arroyo Seco, Pasadena, circa 1918. Oil on canvas, 24 x 40 in. Crocker Art Museum, Melza and Ted Barr Collection, 2009.19.